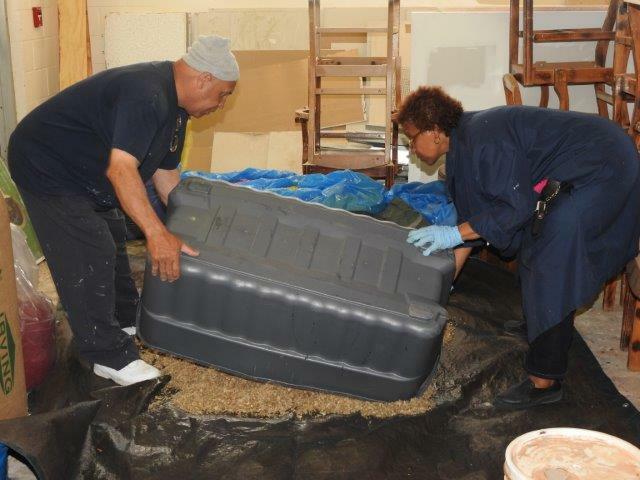 For the second year in a row the Department of Community and Cultural Affairs will be partnering with inmates at Westgate Correctional Facility to dye the sawdust used for the Bermuda Day Floats. Already, inmates have dyed approximately 30 bales of sawdust this year – each bale being 3.5 cubic feet. “Traditionally, the Department has supplied Bermuda Day Parade participants with strawflowers to decorate their floats. However, the major supplier of strawflowers globally did not grow any in 2016,” the Department said. 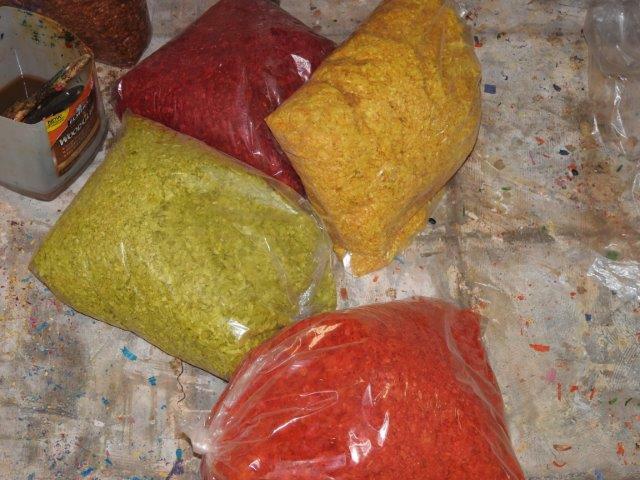 “When looking at other suitable natural materials that could be used on a float, they came across the dyed sawdust carpets that are used traditionally by Bermuda’s Portuguese community during the Festival of Santo Cristo. 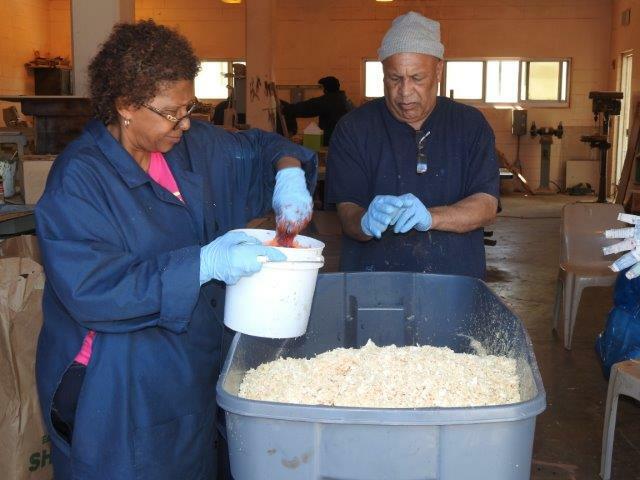 “Portuguese-Bermudian tradition-bearer Joseph Almeida then shared the method of dyeing the sawdust with Community and Cultural Affairs’ Programme Manager, Carlita Lodge, who passed on the skill to Vocational Coordinator Dwanita Grant [pictured in images] from the Department of Corrections. “Miss Grant has refined the dyeing process and has it down to a fine science, leading the inmates at the Department of Corrections to dye the sawdust,” explained the Director of Community and Cultural Affairs Heather Whalen. The Department provides the sawdust free of charge to float-builders.